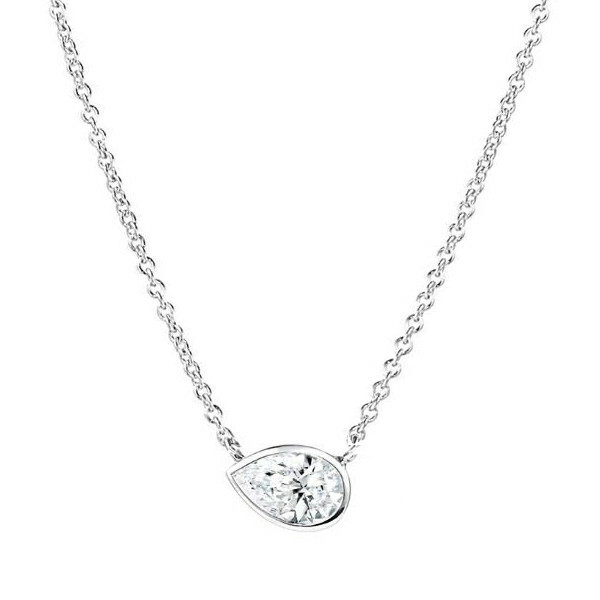 A pretty pear-shaped diamond in a bezel setting is positioned horizontally on a precious metal chain in this pendant necklace from Forevermark's Tribute collection. Shapely and sparkling, it's crafted in 18K white gold and exhibits a cool, modern aesthetic that's totally on-trend. Wear it on its own or mixed and matched for a personalized look. Make your mark with Forevermark!